The first Oktoberfest was held in Munich in 1810 to honor Bavarian Crown Prince Ludwig’s marriage to Princess Therese von Sachsen-Hildburghausen. Two hundred years later, the five-day wedding festival for two people with long names has turned into a whole lot more. Oktoberfest has become a worldwide celebration that lasts two weeks in which millions of people take part. The main purpose, to drink beer! This fall Oktoberfest is practically celebrated every day, and NYC has numerous fun events and bars for you to enjoy. 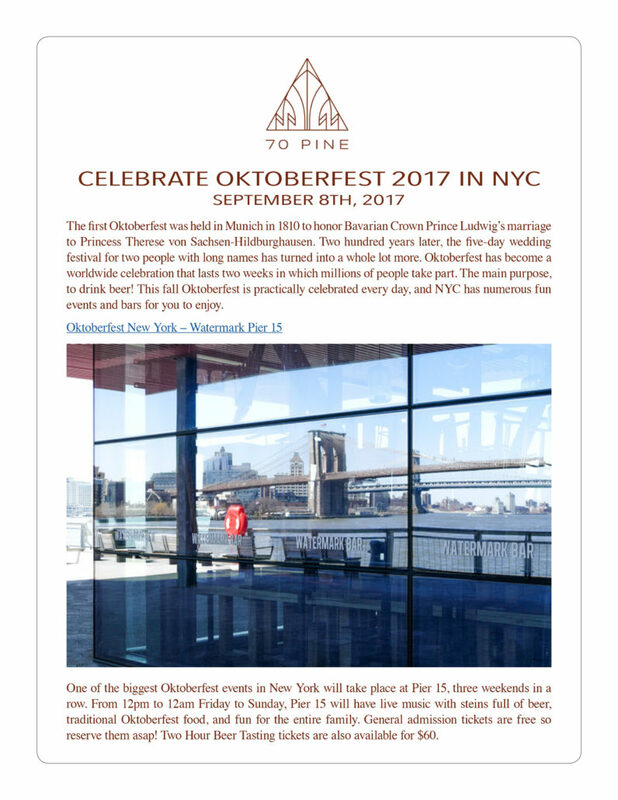 One of the biggest Oktoberfest events in New York will take place at Pier 15, three weekends in a row. 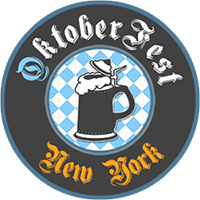 From 12pm to 12am Friday to Sunday, Pier 15 will have live music with steins full of beer, traditional Oktoberfest food, and fun for the entire family. General admission tickets are free so reserve them asap! Two Hour Beer Tasting tickets are also available for $60.